Casey Affleck, Michelle Williams, Kyle Chandler et al. DVD: 131 min., Blu-ray: 137 min. In an Academy Award, BAFTA and Golden Globe winning performance, Casey Affleck stars as Lee, a man whose spare existence is suddenly ruptured when the death of his brother Joe (Kyle Chandler) forces him to return to the hometown he abandoned years before. Rocked by contact with his estranged ex-wife (Michelle Williams) and the revelation that Joe has made him guardian of his teenage son (Lucas Hedges), Lee is forced to face up to painful memories and newfound levels of responsibility as he reconnects with his family. Kenneth Lonergan's critically acclaimed masterpiece is an extraordinary journey of grief, love and wit that will stay with you long after watching. A slow and well crafted movie, albeit quite a long sit. 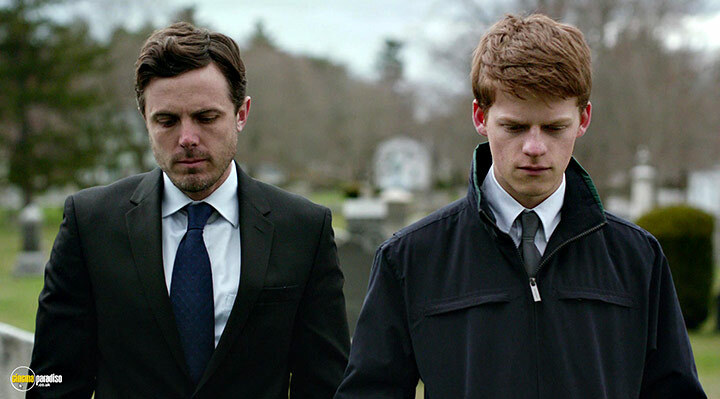 I felt Lucas Hedges' acting was on a par with that of the Oscar winning performance given by Casey Affleck. It also came to mind that had James Dean been alive and in his youth, he would have also been ideal for the role of the bereaved brother. As well as the obligatory angst, he would have brought more of a sense of endearment to the role. Nevertheless, it was two and a quarter hours well spent. It stayed with me well after I had left it behind, so to speak. As one producer says on the DVD extras, this film is about the performances. Unfortunately, and not for the first time, main protagonist Casey Affleck is an acquired taste. He acts as though he’s just walked out of a Method Class, but Brando he isn’t. Barely an emotion creases his face. His voice never varies. The deliberately paced direction is equally staid, lacking dynamism. Pointless flashbacks slow momentum to funereal pace. After an hour something dramatic actually happens. Until then there’s not even been a score to carry us along, but now it’s even worse as we’re bombarded by bog-standard classical and wailing choral music. Please make it stop! This vastly over-rated film then unexpectedly turns into a mismatched buddy movie . There are even a few humorous scenes, which seem oddly out of place after what’s gone before, but again the plot goes nowhere. Never mind, it’s all about the PERFORMANCES, stupid. To reinforce this point, the making-of featurette on the DVD is a vomit-inducing actor’s schmooze-in. Instantly forgettable. Did not match up to my expectations based on other reviews. I found it overly long and an effort to see it through to the end. I would not choose to watch it again. Was looking forward to watching this after reading the critics reviews. Totally arty farty with foul language, gave up after 30 minutes. The majority of reviewers seem to have found this overly long. Not for me. I was utterly engrossed in Casey Afflick's misery. Sadness beyond endurance. Melancholy with no possibility of cure. Only Casey could bring such despair to a character. Not for everyone, but if you can stand lingering depression, it is fantastic. A slow starter, but my gosh does it make up for it. Blew both my socks off. 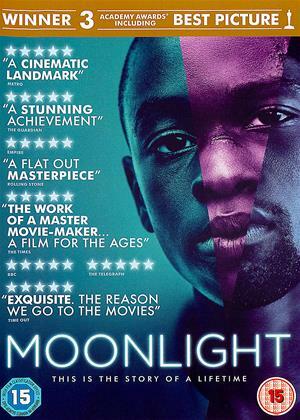 A masterclass in acting from all concerned, and exquisitely placed music makes this character-led film an absolute dream. I put this on my list because it won multiple Oscars, so I thought it would be good. 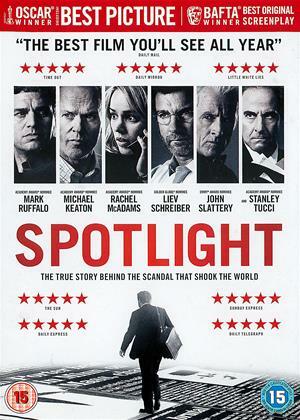 I appreciated it was well acted, but not an ideal film for a 'date night'. I try to look for positives, but this film was well orchestrated misery from start to finish. 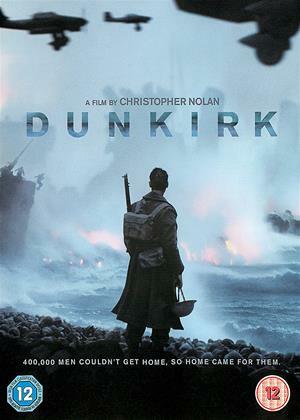 Not for the depressed this is unremittingly grim almost throughout with viewer expecting further tragedies just around the corner until there is a modicum of redemption towards the end. It is interesting and worth the effort but I won't be watching it again as the payback for the investment isn't necessarily worth it. A bit confused by the plaudits because it's just not very accessible and the acting is just understated rather than believable. My suspicion is there is a bit of snobbery at work here where the intellectual will smugly regard themselves as having benefited from the pain of trawling through the horror. Cannot find any redeeming features in this film. No idea how Casey won so many awards. Utterly engrossing throughout. If you enjoy being immersed in a real life with carefully crafted portrayals of relationships, you should enjoy this film. The acting is quite exceptional. Overly long, slow and full of gratuitous foul language made this film a thoroughly depressing experience. The story line would be ok, if it weren't for the poor acting - as it was it, this film is painful to watch! I would give it less tha n 1 star if possible. Such a laborious film. Was expecting so much more, having seen the trailers. Not even the performances were anything to rave about. Disappointing overall. Thoroughly depressing and yet extraordinarily compelling. The directing is assured and beautifully nuanced. Casey Affleck and Michelle Williams as estranged husband and wife stuck in a miasma of hurt and guilt bring in mesmerising performances. Lucas Hedges floundering as the fatherless nephew is well cast - hope to see more of him in future. Possibly a great worthy film but we struggled with the main character (Casey) who mumbled throughout. Subtitles would have been useful but did not work. Quite a shame. From a slow start it develops into a story of loss, retribution and resolution of sorts. The acting of uncle and nephew makes the film, the relationship is so endearing in its own way. The ending.....well, best not to spoil it! I don't think that I have ever watched such a cold and miserable film as this. All of the characters were obnoxious, loveless and graceless, some were violent and most were foul mouthed. I felt numb watching the movie as the characters stumbled and lurched from one state of darkness into the next. If this was a horror film, I would accept the events as artificially contrived to suit the genre - but what really got to me was that this was supposed to be representing credible human life. A scene that comes to mind is when the nephew asks Casey Affleck to lie for him to cover his impending sexual immorality. That the nephew knew it was wrong was obvious because he came to Affleck with an embarrassed begging attitude. I stopped watching half way because I felt depressed and miserable. Gratuitous bad language from early on. Stopped watching it and sent it back. There is no need for it when English has plenty of perfectly adequate alternatives. We were losing the will to live. Gave it about 45 minutes and had no idea where it was all going so we cut our losses and turned the TV on. Found the sound difficult to hear too. There are a lot of good things about this film. It is well acted, has a powerful story and takes its time to build the characters and doesn't have the compulsory Hollywood feel-good ending. It only gets three stars from me because sadly I never quite believed in the events for real. I never lost the sensation that I was watching a movie: a good one but still just a movie. Everything abut the film was a bit too perfect for it to feel real: the scenes too well-lit, the actors too good looking, the camera too steady, the sets too perfectly assembled. Real life isn't like that. It was in essence a gritty real-life drama but spoiled by having glossy big-budget production values smothered all over it. Beautifully shot, hauntingly moving. Afflek was so vulnerable, so fragile. Longish, yes, but I was absorbed. I found this film slow and dull to start off with, however, I decided to stick with it - I am so glad that I did. The film was actually quite poignant, and really quite deep. I think that overall, I enjoyed the film - shame it was so slow to start off with. Although clearly well written and very well acted, it takes a story that would have been an engrosing 90 minutes and stretches it out to over w hours. 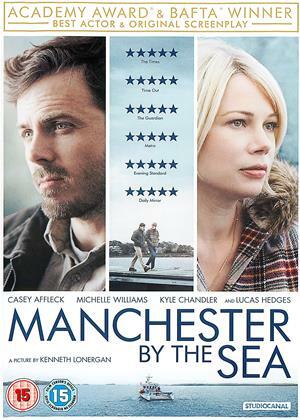 Casey Affleck is excellent as the main character trying to deal with loss and his scenes with Michelle Williams are superb, although she is seriously under used. Main character a bit moody so not so realistic but story could happen to anyone. Overall nice not to have guns, fighting and conspiracies etc. A really enjoyable performance by Casey Affleck. Good value for money too at two and a quarter hours. What's more, an American film without the usual compulsory happy ending. Pity about the over-use of bad language, especially the four letter expressions from the second girlfriend. 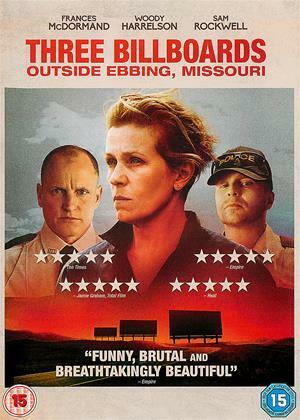 A very good well made film, loved the music the photography the setting and the acting. I thought it had a haunting melancholic quality definitely worth watching. This was a difficult film to watch, and sequencing tricky as it jumped about a bit. However it later became clear that the "flashback" was directly related to the incident shown. Worthwhile if you don't mind not feeling too happy. A lot of pathos. 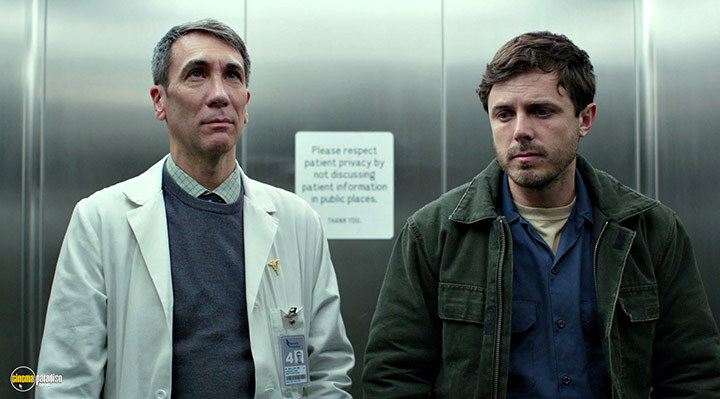 Very convincing characters especially Casey Affleck in the leading role. Not for the fainthearted, but it is for anyone who wants to understand raw and difficult human emotions. The "Emotional Story" (one of the extras on the dvd) explained a lot and was very useful. 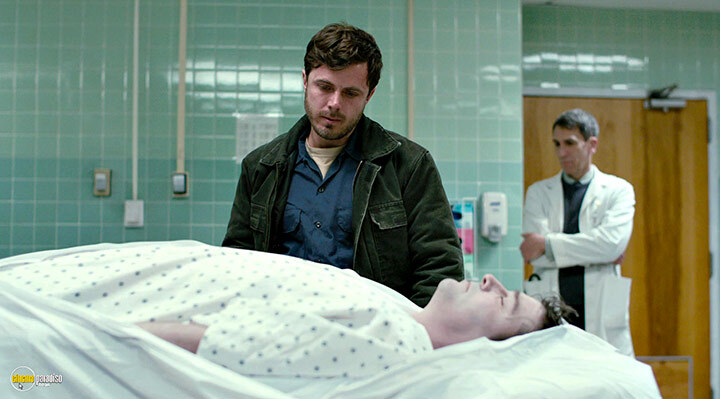 A slow film saved by the exceptional performance of Casey Affleck, with enough troubles of his own, he then has cope with the loss of brother and become the guardian of his nephew. Slow moving film but helped by a wonderful chunks of classical music that seemed to blend with the action. 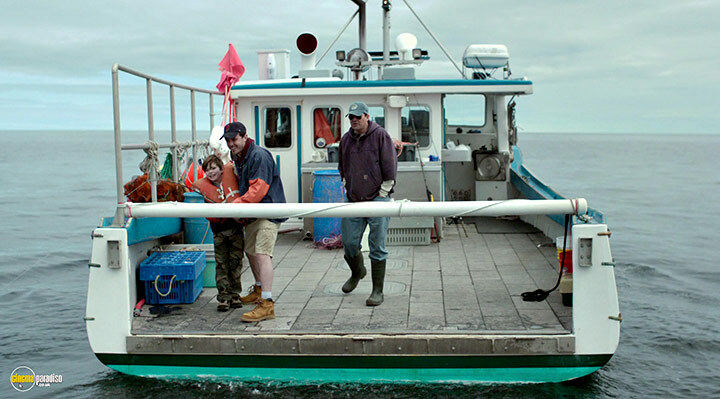 Manchester by the Sea is an aftermath picture, following relatable characters and how they try to live in the wake of deaths. It is a sometimes awkward, sometimes funny, sometimes depressingly sad story, about as human as any tale of mourning can be. And rather than focus on creating tighter moments of drama, the movie instead focuses on the more difficult and uncomfortable aspects of handling the passing of loved ones. Life goes on, just a little differently and a little more scary. Lee Chandler (Casey Affleck) is presented as a quiet, flawed and simple man, working the lonely and often thankless job of an apartment handyman. Some tenants fancy him while other go on the offensive, leaving to passive aggressively respond to their complaints. The nights that are not spent watching the game in his quaint studio apartment are spent in bars where he will occasionally start a fight. 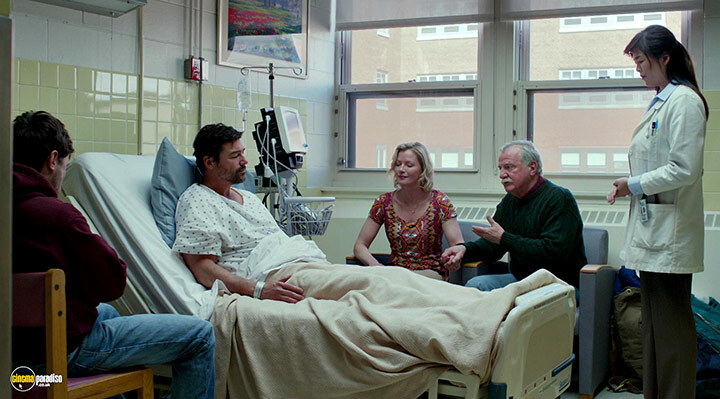 His dreary routine is soon interrupted to discover his brother Joe (Kyle Chandler) has passed away in Manchester. He arrives to examine the body, makes the tearful confirmation and begins the long and painful process of funeral arrangements. While spending time in Manchester to handle the funeral, he’s also tasked with looking after his teenage nephew Patrick (Lucas Hedges) and eventually learns from the will that he’s the new guardian. This scenario could have easily turned into a soapy drama where Lee tries to understand being a parent of a depressed kid, but the script thankfully never goes for such easy drama. Lee has known Patrick since he was a boy so their relationship doesn’t require much cultivation. Patrick doesn’t appear to require a whole lot of maintenance either as the day of his father’s death finds him trying to spend the evening with friends and pizza at home as Lee stays out of their way. It’s not until the discussion what to do with Kyle’s body does their conversation turn a little more heated, only reaching a maximum level of frustration when deciding on where to live. Through a series of flashbacks, we learn why Lee left Manchester to begin with and why he is so eager to leave it behind. It is slowly revealed that he made a grave mistake with his family that is probably the most disheartening and worst situation for a man who wasn’t quite all there. It’s a mistake that will cut deep for any parent, leading to the question if you could live with yourself after such an event. Many will not understand how Lee could live in the aftermath and the character himself probably has similar thoughts where suicide was not out of the question. Casey Affleck perfectly plays this tortured character that slowly begins to accept the comfy lifestyle of a family once more. He has a natural presence with his silence and mumbling that never feels overdone for a loner. The scene where has to identify a body at the morgue features him in a rare moment of tears which was not written into the original script. Lucas Hedges isn’t too shabby either as teenager who has conflicting views on his father and Lee, only really becoming emotional over the fate of the boat where all three of them connected. 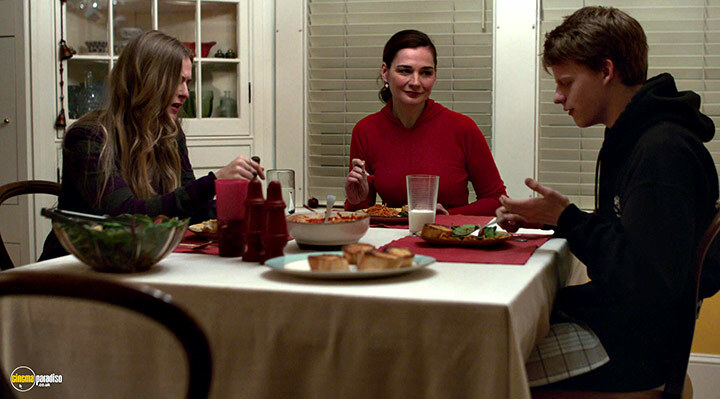 Director Kenneth Lonergan has an expert eye for shooting the cold neighborhood of Manchester, focusing on the black nights, snowy lawns and cozy interiors. He knows how to give this town as much character as his leads, holding just long enough to appreciate the world before moving on to the next step towards a funeral. Despite being over two hours, Manchester by the Sea never feels overblown, excessive or slow. It’s a very easy-going movie where tears only come where they’re most needed and light smiles come unexpectedly in the most awkward of situations. Scenes can go anywhere from Kyle tearfully breaking down over realizing his dad’s body has yet to buried to an embarrassingly amusing scene where Lee breaks down his door to make sure he’s okay. 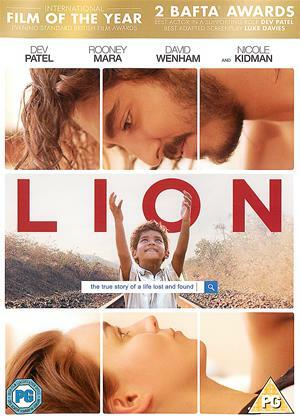 The film might be a tough sell for being so somber and relatable, but it’s refreshing at times to see a movie where characters feel real, human and filled with complexity.